Research have supported the theory that various toys is great to support the learning and developmental process of infants, toddlers and young children. 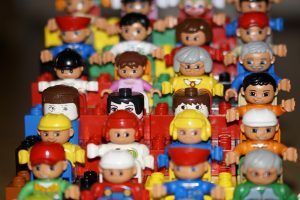 Parents and people involved in the development of children should choose those toys that are suitable for a child’s age and cognitive abilities. One of the most important aspects in the development of infants and young children is their ability to explore their environment. Toys that are age appropriate will therefore be a vital tool to promote exploration and is very beneficial to young children. During the development stage infants will over time become toddlers and preschoolers. This means that they will start developing social skills when they play and learn with their peer groups. Toys are a vital part of this process to promote and encourage further exploration. The toys must grab their attention immediately. By the age of one they will have more sophisticated developmental skills and could manipulate more advanced-level toys. The learning process will develop their cognitive abilities and the early learning skills will integrate with new developmental skills. Toys making sounds, such as musical toys, is ideal to develop the idea of cause and effect and their cognitive and emotional skills. Musical toys could include a host of different items, from homemade to shop bought. They must however remain age-appropriate and get changed as the child gets older. Toys assist toddlers and young children to develop their imaginative skills through pretending and reflecting the child’s interests, family and environment. When they reach age 2 and 3 the child will begin to assert their independence playing with more engaging toys. This means changing those items they used for something totally new. The selection of new toys is part of a developing personality trait as well as gender. Parents will normally encourage the selection of toys conforming to their gender. Age-appropriate educational toys assist young children to develop the ability to process information, develop vital problem-solving skills and symbolic thinking. This is normally toys that involve stacking blocks and similar type of toys. Building or creating something this way is effective for their development of problem-solving and spatial visualization skills. Another advantage is that it improves hand-eye coordination. Play dough is ideal to develop a child’s ability to use their imagination and make shapes. Puppets develop a child’s imagination and help the children bringing pretend characters to life. Puzzles, on the other hand, develop the cognitive development of young children. Remote control toys for toddlers and young kids are just for an afternoon of fun, but adults view it as a hobby and are more serious about it. But before starting an expensive hobby, you need to decide on your budget and decide what kind of remote control toy you’d like to purchase. Also, you must consider if you want it to be a DIY or a ready-made on-road or off-road vehicle. The size and speed are also an important consideration to make as well as the power it will use, will it be electric, nitro or petrol. Be meticulous in choosing a toy, especially radio-controlled ones. Be wary of manufacturer’s claim as they may overstate the features of their product. Also, choose a vehicle with selectable bands so you can operate your toy with another person. The space where you’ll run your remote controlled toys matter in order for you to enjoy it. If you purchase a boat the pond is the best place for it. An indoor helicopter will need a medium to a large room while bigger cars and trucks and aeroplane are definitely for outdoor use. With this, stick with reputable brand names when purchasing these expensive toy vehicles, especially online. Reputable brands come with a warranty and their parts are easily replaceable should it be damaged. Electric powered toys are a great choice for both older kids and adults who are just acquainting themselves with remote controlled vehicles. They are usually pre-built when bought and they come with a rechargeable battery pack. They are low maintenance and quieter, too, so you won’t be a bother to your neighbors. But speed wise you might be at a disadvantage and since batteries last for only about 15 minutes you will not be able to play for longer periods of time. You have to invest on a set of batteries because it takes almost an hour to charge them. For serious toy car racers, they will often opt for nitro vehicles which use methane-based fuel and petrol. These vehicles use miniature fuel-burning engines and have a metal chases and drive-train which requires time to assemble. Nitro and petrol vehicle depends on the fuel you put on it for its performance. But they can give you a realistic racing experience. With a touch of technology and modernization, toys can now give a real-life interactive experience. Playing just got a lot more fun and realistic. Toy companies used old-fashioned toys and added a new twist to them to make them more in tune with the times. One good example is the Cabbage Patch doll, which now comes with an LCD screen which creates intense, moving eyes. The toy manufacturer which produced the upgraded doll installed sensors all throughout the doll’s body that connects to an app which can track the doll’s behavior like sleep schedule or feeding and play time. The reason behind the upgrade was to provide a total real-life baby experience. Despite the fact that kids playing with the toy are sometimes just babies themselves, manufacturers believe the toys should be amateur. Another noteworthy toy is the Real Cooking baking kits, which come with cake and cookie mixes and allows the child to add ingredients found in their kitchen like eggs and oil. The real-life experience that the baking kit provides can empower kids. They can bake real desserts from real ingredients which can be Pinterest-worthy once done. The kit also includes kid-sized utensil which makes it easier for them to bake the most delicious treat they can imagine. Aside from reinventing old-school classics, some toy manufacturers capitalize on the buzziest trends to create their toys. Most of these toy help kids express their creativity and allows them to have an interactive experience. Modern toys can help tap a child’s potential not only in arts but even in building and understanding how things really work in real life. In a way, the toys can help them develop their self-help skills and even enhance their confidence. Indeed, they are not just toys used to entertain or keep them busy, but they can also be learning tools for your child. Going to a party and you might want to bring your own adult beverage. Maybe it’s going to be a “dry” party or the hostess is known to be a bit of a cheapskate and you want to bring something of a little better quality. What better way to discreetly bring your own than with a cool flask. A good quality stainless steel flask is less than $10 in most online stores and you can usually get a little less than a third of a standard liquor bottle of beverage in an 8 ounce flask. 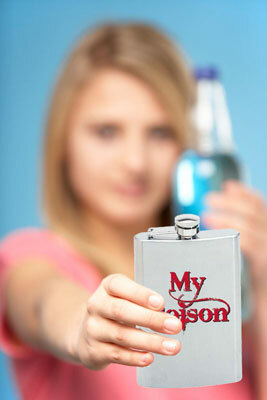 There are a few things to consider when carrying liquor in a flask. Many states consider flasks as open containers, so if your local jurisdiction has open container laws, you might want to be sure that while driving the flask is totally away from easy access, like in the trunk. I’m not an attorney or law professional, so your mileage with my advice may vary or even be incorrect. You don’t ever want to carry mixed cocktails because they are a b*tch to clean up. While most liquor residue can be taken care of with soapy warm water, left over cocktail shplutz might require a small bottle brush to clean your flask’s innards. Next, you might want to consider where you’ll be carrying this flask. If you dress for style, you’ll have a nice jacket with a decent pocket in which to carry your liquid treasure. If you’re going with jeans or slacks, be sure to not get the super tight fitting pair. Tight pants kind of eliminate the discretion factor of carrying a flask. Chinos usually have an extra pocket. That just might be perfect. One thing for sure, you can always bet on getting some great flask deals if you search online. For many Special Needs children these senses are often totally out of sync. Playtime can become more therapeutic with the inclusion of children’s toys used at therapy. Children with Sensory Integration problems might often hear the clock ticking as loudly as you talking with them. Generally you might start to think that your child can’t actually hear you when you call because they have a hearing problem but in actual fact it can often actually be because they are hearing away too much i.e. their ears can’t filter out background noise and they are hearing several different things at one time. Their ears can’t filter out background noise effectively. These early signs are often the first real indicator that something may be amiss with your young child. When he heard certain high pitched sounds, personally my son began covering his ears with his hands or leaving the room. When I attempted to vacuum a room my son always got very upset, if a car engine was louder than usual or. Also he refused to even try certain foods and now I know that this too is a sensory issue i.e. the consistency of some foods or the messiness of them just totally put him off. Many other Special Needs children can not stand to be touched as they are hypersensitive to it and any embrace or gesture can often just be too overpowering for them. It is also quite common to be under sensitive to touch and once again like my son you could he has a strong desire to be constantly hugged and sometimes he is just unaware of how strongly he might grab someone or squeeze them because he can not judge what the right level of touch actually is. He loves to be cocooned between blankets and he is constantly seeking physical stimulation of every kind. He is often in a constant hyperactive state for most of his waking hours. Excerpt taken from article on this topic and the full article can be viewed at www:// children.webmd.com/sensory-integration-dysfunction. Because of how the foods feel when chewed, refuse to eat certain foods. Be overly sensitive to sound. Vacuum cleaners, lawn mowers, hairdryers, leaf blowers, or sirens may be upsetting. Lack creativity and variety in play. Your child may play with the same toys in the same manner over and over or prefer only to watch TV or videos. Who is most at risk of having Sensory Integration Dysfunction? There are many Developmental Conditions and Syndromes that seem to include Sensory Integration issues although this has not been officially recognized yet. The most common being: Autism Spectrum Disorder, Aspergers Syndrome, Fragile X Syndrome, Global Developmental Delay, Auditory Processing Disorder and Sensory Processing Disorder. What is Sensory Integration Therapy? Sensory Integration Therapy is about helping the Sensory challenged child to try to reach a state of calm equilibrium through using techniques and strategies to help balance their out of sync senses. All Occupational Therapists are now trained in Sensory Integration Therapy as part of their training and should be able to perform Sensory Integration Therapy with your child. Your child will need to be assessed by an Occupational Therapist who has the necessary training and experience in Sensory Integration Therapy. They will normally put together what is known as a Sensory Diet, for your child. Basically a Sensory diet will pinpoint what your child’s specific Sensory Issues are and whether your child is over or under stimulated by their senses. They will specify how much additional input your child should be getting on a daily basis to try and counteract the problem. The aim of Sensory Integration Therapy is to help reduce the anxiety caused by the Sensory Integration issues your child may have. It is then hoped that in turn this will help improve your child’s concentration and learning capabilities. This in turn should lead to less inappropriate behavior, a decrease in emotional meltdowns and hopefully will also help encourage your child to become more aware and in tune with other people and their surroundings. Common techniques for Sensory Integration Therapy usually include:. · Deep pressure through things like wearing a weighted vest or getting a weighted blanket. · The use of Sensory Integration aids such as swings, hammocks, mini trampolines and therapy (gym) balls. · As many Sensory seeking Special Needs Kids often have a need to be constantly chewing on something Chewy Tubes are a great idea to help protect their teeth, their health and to give them sensory relief. · It is also pretty easy and it doesn’t have to cost a fortune to create a quite area for your child at home by buying some inexpensive sensory toys that will help you create your own sensory room at home. Physical activity is also very important for the sensory challenged child.Structured play time and the use of toys as therapy is included in activities. Especially if you have a hyperactive child like my little man then the more physical activity the better as this can also teach him to use his body in many different ways and help him to understand that he is a separate entity to his environment.